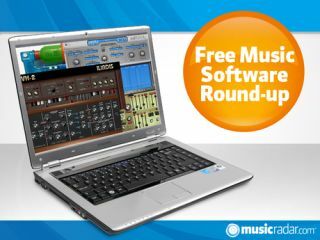 It's often said that there's no such a thing as a free lunch (although we'd dispute that), but free plug-ins are in ever more plentiful supply. Keep reading and you'll see what we mean. Iliadis has become something of a specialist when it comes to virtual organ plug-ins, and it's now announced that all of its current range - that's Euthymia Electronic Organ, iBX Tonewheel Organ, iVF Combo Organ, VH-1 and VH-2 - can be downloaded for free. What's more, a new version of the uVF Combo Organ is in development. When trying to picture this new synth, the developer suggests that you "Imagine rummaging through an abandoned factory and finding this rusted box. This VST has been finely detuned, thrown around a lot, and left to rot for 40 years". Clearly, this isn't quite true, but if you want a vintage-sounding instrument, give it a try. While some synths make great virtue of their versatility, this one is designed to do something very specific: sound like a ray gun. It features an oscillator, ADSR Amp envelope, LFO and ping-pong delay and comes with 16 presets. Oh, and it looks like a ray gun too. There are now updated versions of Roberson's three classic synth emulations. RA Mowg (pictured) recreates the Minimoog Model D; Oddy-Free is based on the ARP Odyssey Mk II; and Prophanity takes its inspiration from the Sequential Circuits Prophet 5. "The best MIDI arpeggiator plug-in on the market?" asks Arto Vaarala. We can't say, but we can tell you that Kirnu gives you a pattern view, numerous different scales, realtime tweaking options, a hold mode and MIDI learn on the majority of its controls.